Your employment contract will spell out your base salary, bonus opportunities, loan repayment and noneconomic benefits. It’s up to you to understand them. Yogi Berra was a great catcher for the New York Yankees. He was an 18-time all-star, a 3-time MVP, won 10 World Series, and was elected to the Major League Baseball Hall of Fame. He was the ultimate winner in a team sport. Most physicians, too, are valuable players on their teams. And for physicians, the most significant way to be rewarded for a job well done is through their employment contracts. If you have a great year, there are upside opportunities that can be included in your contract to reward those successes. And just like a major league baseball player who has a guaranteed contract, a physician with a multi-year deal may have protections in an “off” year as well. The four bases (baseball pun intended) of a physician’s compensation arrangement are base salary, bonuses, loan repayment (particularly for more junior physicians) and noneconomic benefits. For most physicians, the base salary—the amount you’re paid annually over the contract term—will be the predominant source of income communicated in the employment contract. Before signing a contract with a base salary included, make sure you understand how the salary was determined. Is there independent verification of its appropriateness? When (if at all) will the base salary change, and under what circumstances? How frequently will you get paid: weekly, bi-monthly, monthly? No physician wants to be or believe they are not being paid as competitively as their peers in the same geographic region with comparable experience and job responsibilities. 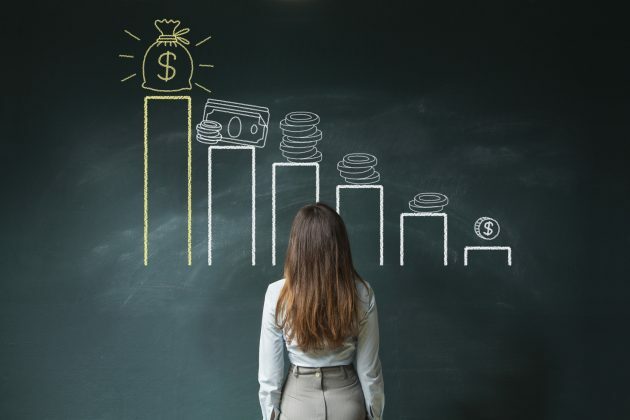 Independent salary statistics, such as those from the Medical Group Management Association (mgma.com) or the Association of American Medical Colleges (aamc.org), can help you get a ballpark figure. Most physician bonuses are based upon some element of productivity. Productivity is often measured in cash. How much a physician personally produces will dictate the bonus threshold. An employer may state that a bonus can be achieved based on some multiple of your base salary, e.g. 1.5, 2 or 3 times. Some employers use wRVUs as the bonus threshold to avoid the variances from the payer’s reimbursements. Understanding reasonable wRVU thresholds (how many wRVUs you must produce to earn the bonus) is essential to making sure the bonus is not illusory and out of reach. An employer may do a combination of your productivity versus overhead to determine if a bonus is earned. It is important in this scenario to understand how overhead is calculated. Is each physician responsible for the same overhead? Is it based on your actual expenses? In any cash-basis bonus, it is important to understand whether trailing collections for payments received after termination or expiration of your employment agreement are included as part of the bonus calculation. An employer willing to pay some or all of your loans can be a wonderful perk, but you must understand the conditions for payment. Some employers require you to be employed and in good standing at the end of each contract year before the loan amount is paid. Others may provide loan repayment on a monthly basis. An employer may “cap” the amount of the loan to be paid over the life of the contract. Or, there may be other conditions, such as a certain amount of productivity or attending a certain percentage of committee meetings. Salary, bonuses and loan repayments are wonderful benefits —but noneconomic perks can also have significant value. Imagine deciding between two contracts. One contract pays $35,000 more annually. The higher-paying contract provides you with individual health insurance and a claims-based professional liability policy that requires you to pay the cost of the “tail” policy upon your departure for any reason. The contract with the lower annual salary provides family health insurance, life insurance for you, 401(k) match, occurrence professional liability coverage that does not require you to pay for a “tail,” $5,000 annual CME allowance, payment for licenses and dues for professional societies, the ability to moonlight and retain that compensation, a signing bonus and reimbursement for moving expenses. When viewed in the entirety, the contract with the lower base salary may actually be a much better option. When these four compensation components of the employment contract are coordinated, you can hit a professional home run. If one or more of these elements is missing or incomplete, you may strike out and feel the need to move on to the next job. Bruce D. Armon is a partner and chair of the law firm Saul Ewing’s health care group—and a baseball fan. Bruce has helped hundreds of physicians and employers with contracts and all participants in the health care delivery system with health care transactional, regulatory and compliance matters.